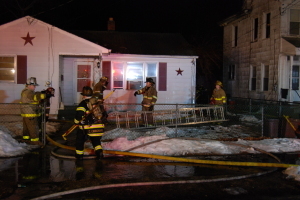 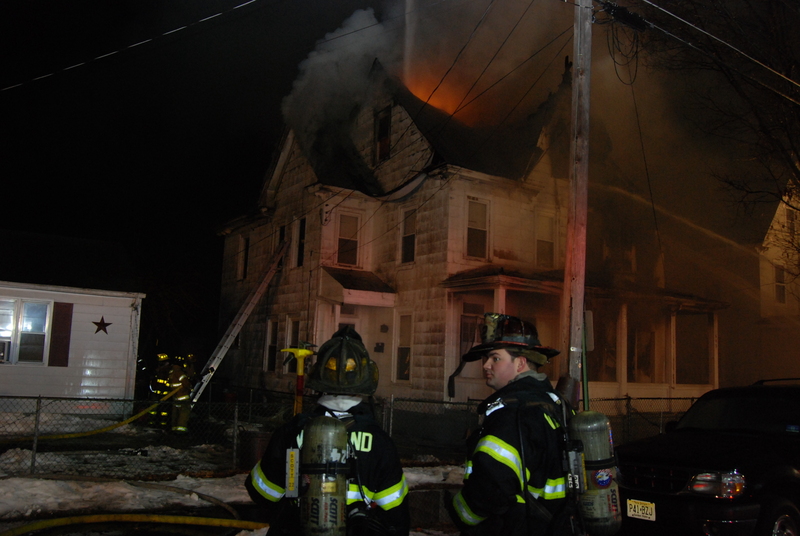 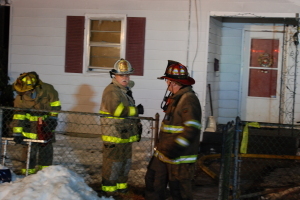 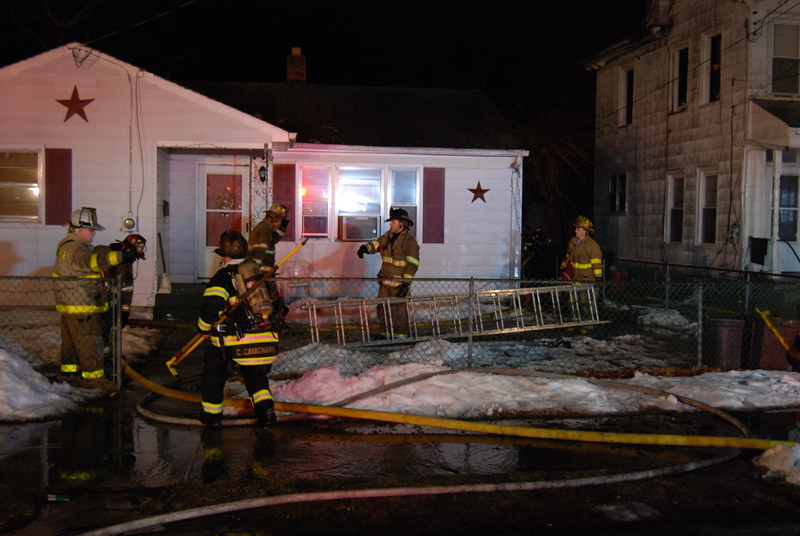 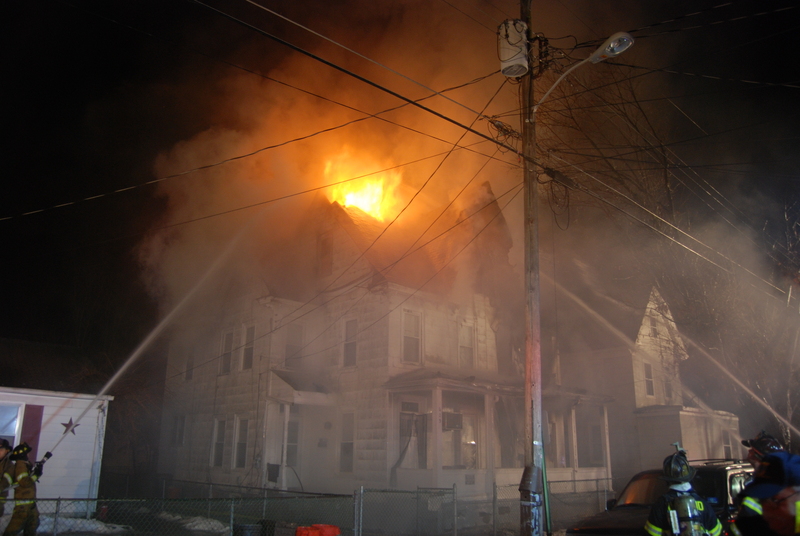 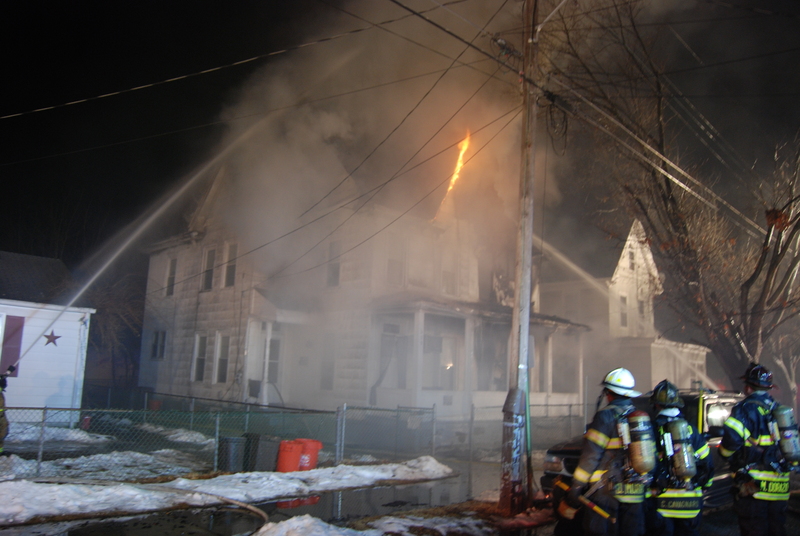 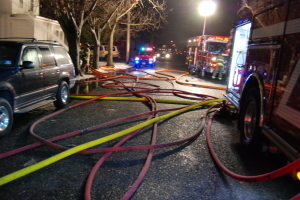 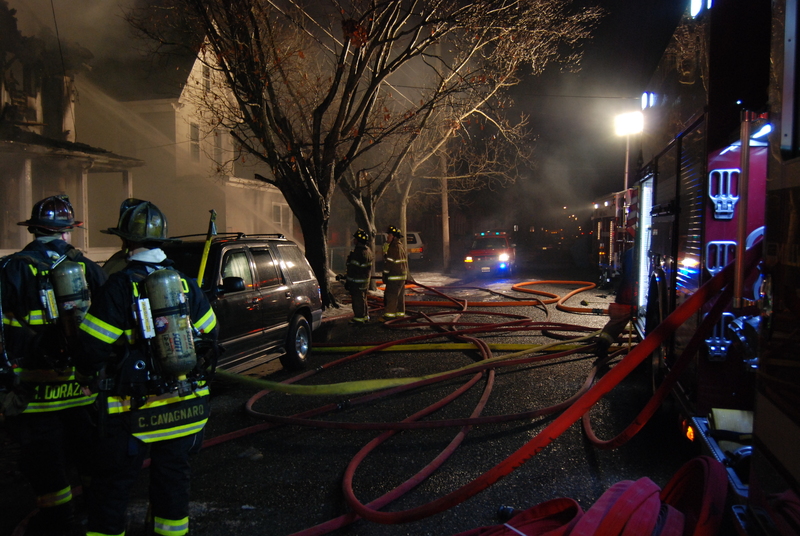 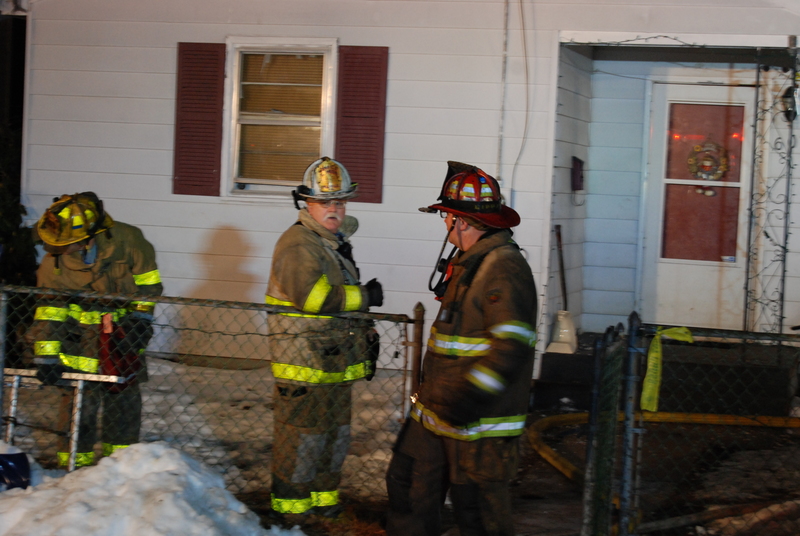 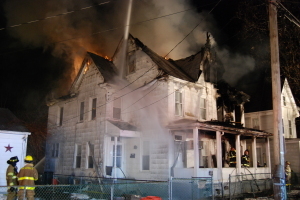 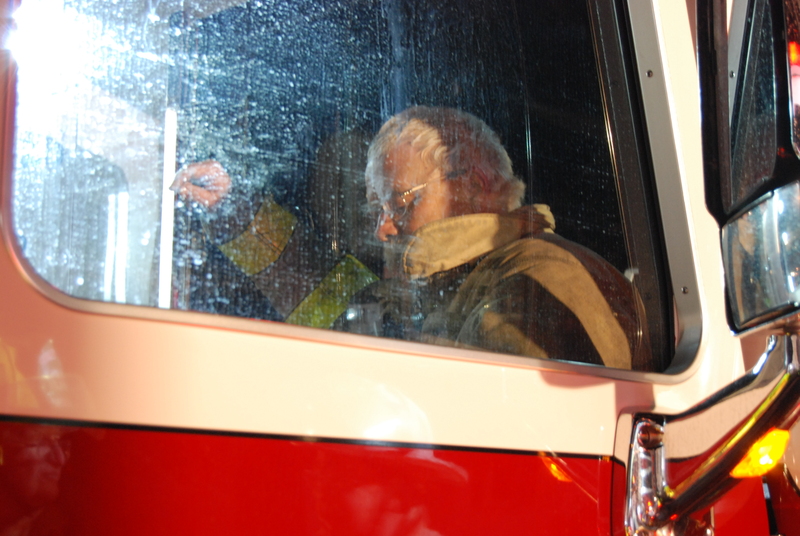 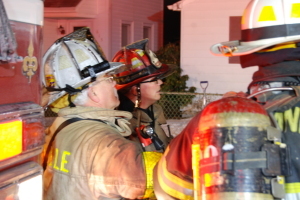 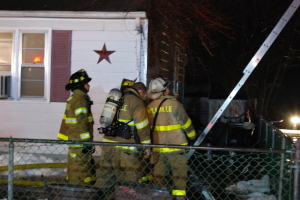 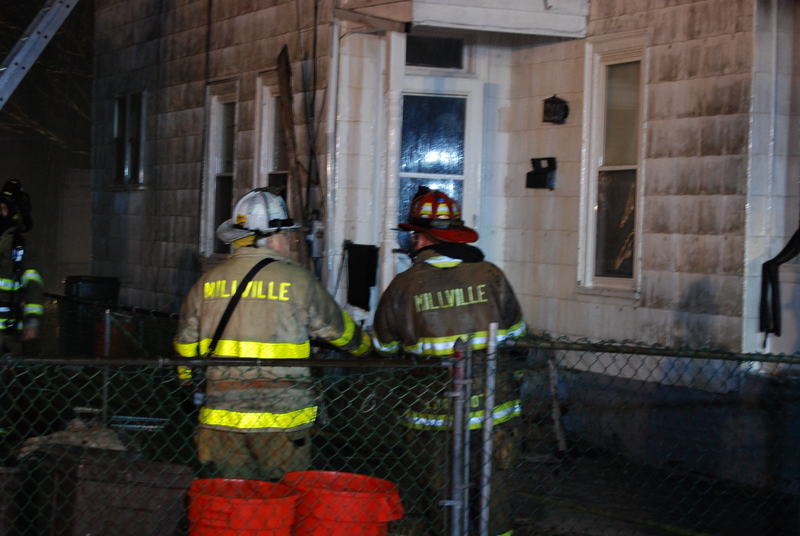 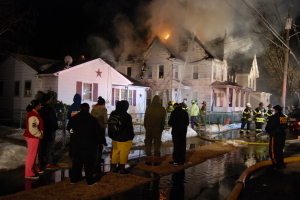 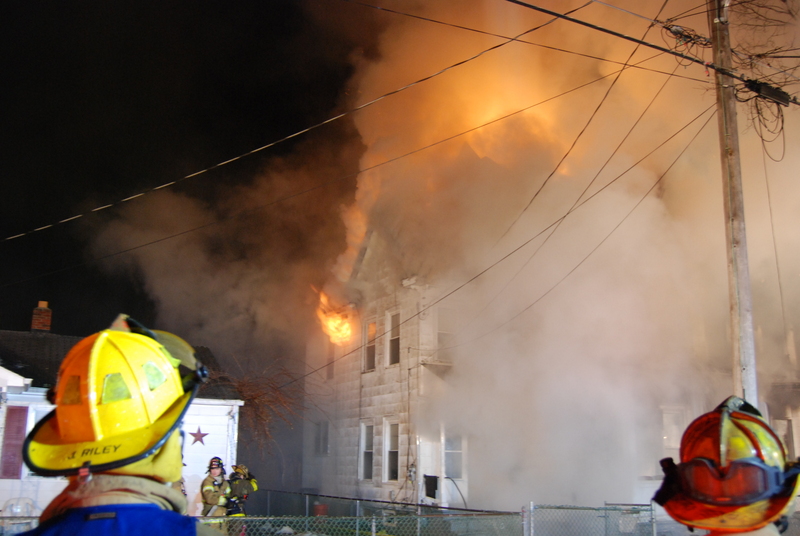 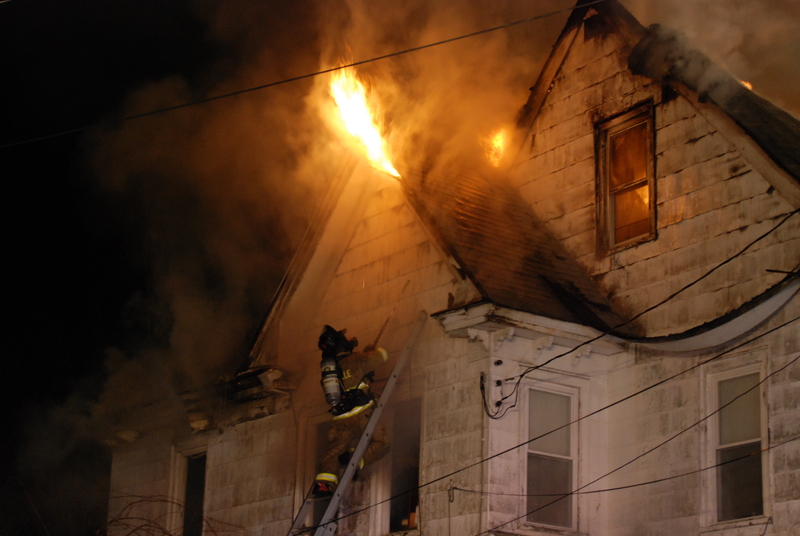 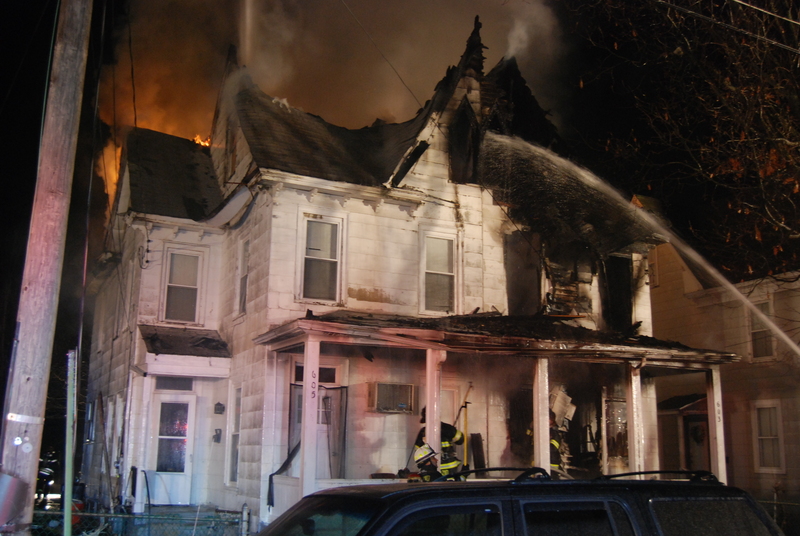 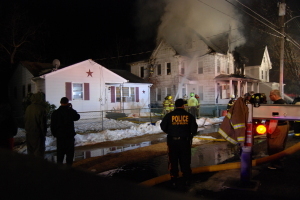 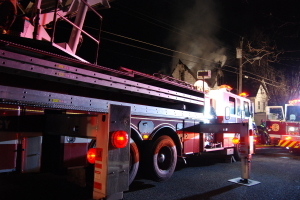 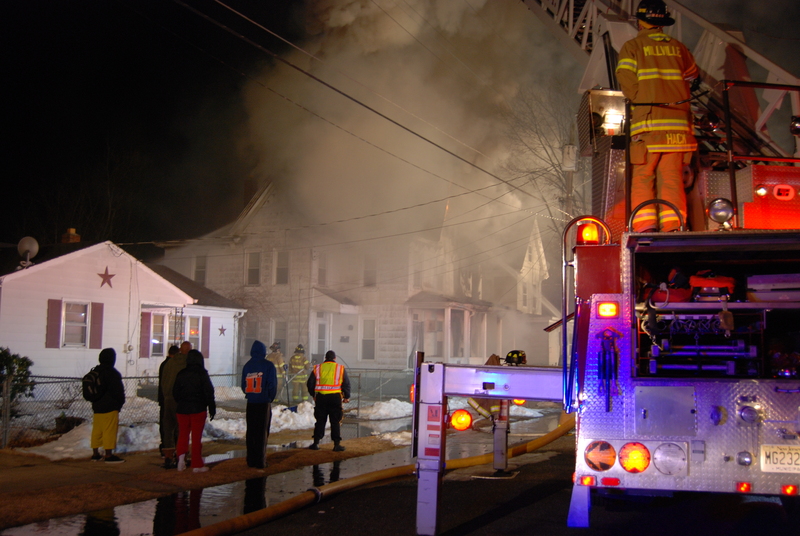 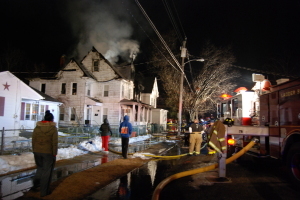 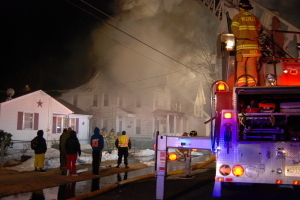 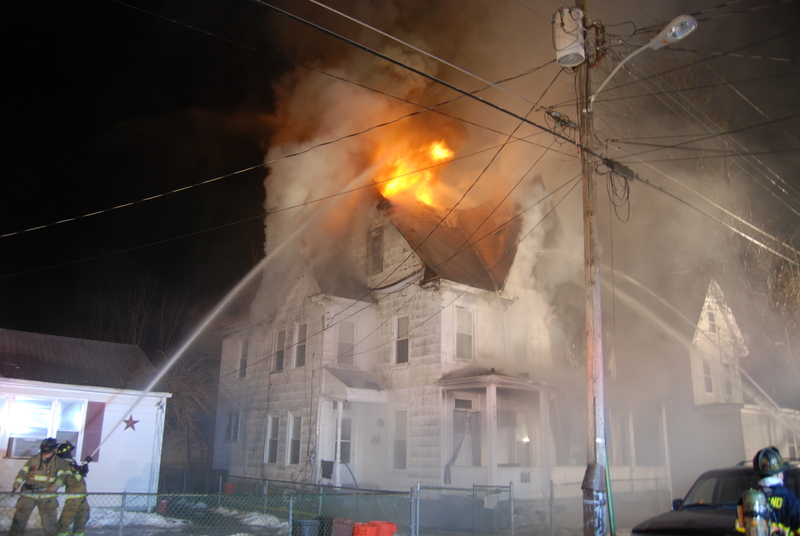 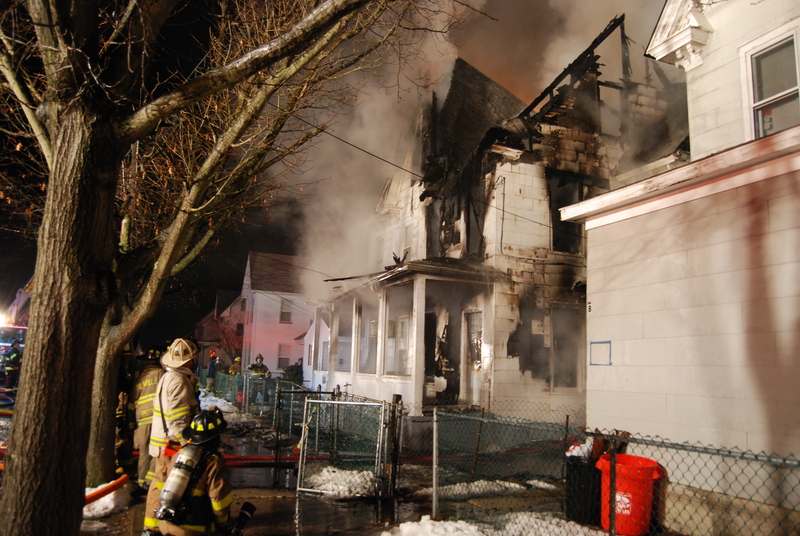 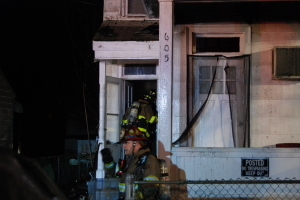 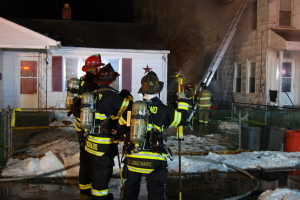 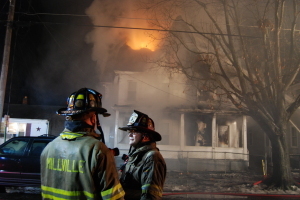 On March 9, 2015, at 0249, Station 30 was dispatched to 601 E. Mulberry Street for a dwelling. 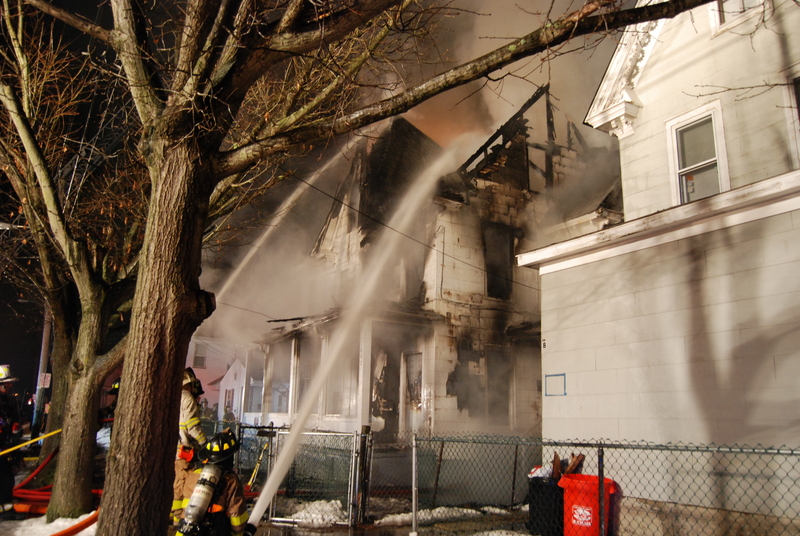 Multiple callers reported heavy fire at the dwelling possibly extending to their own homes. 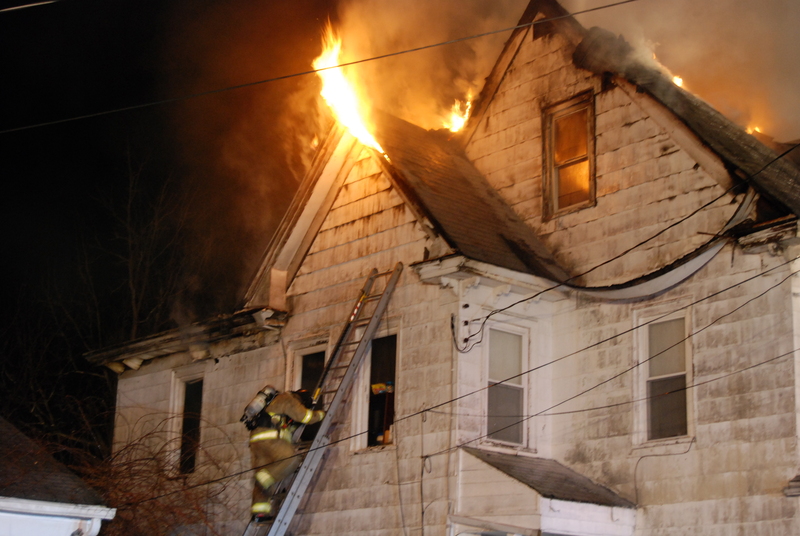 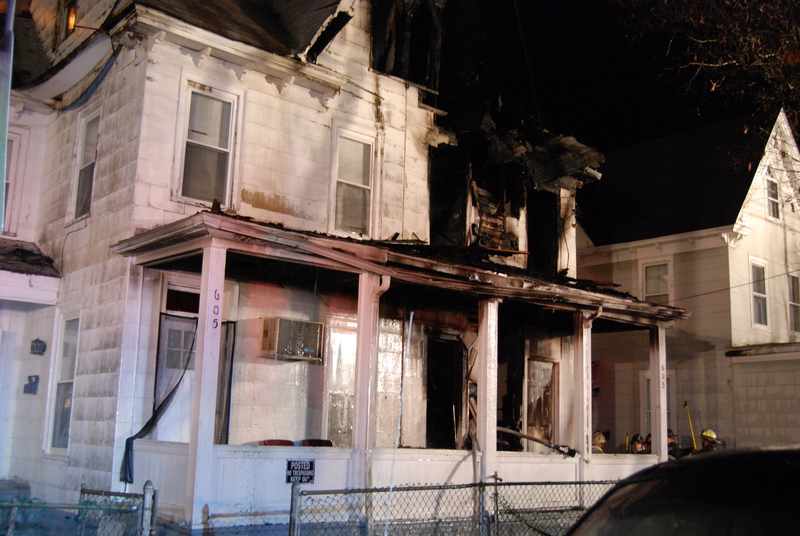 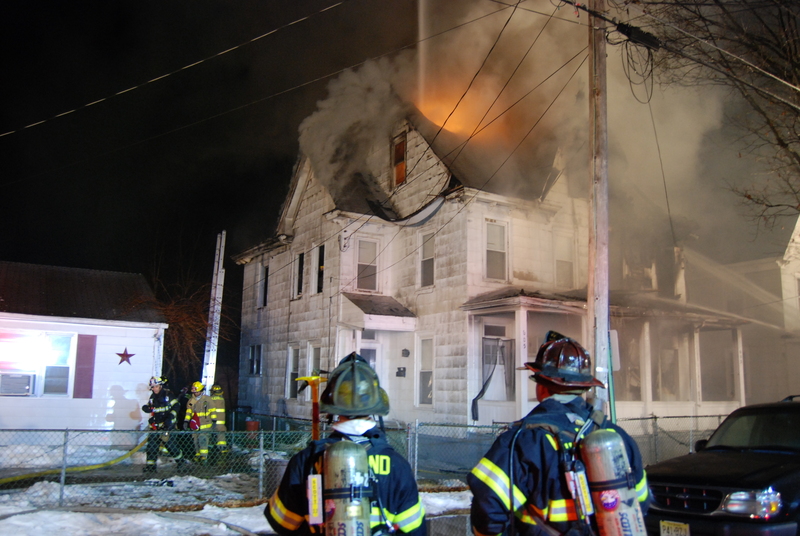 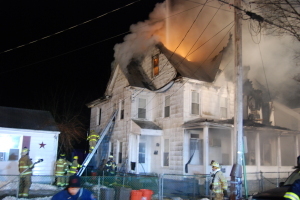 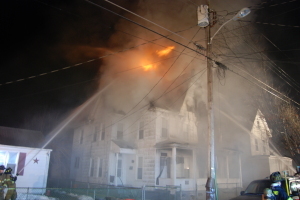 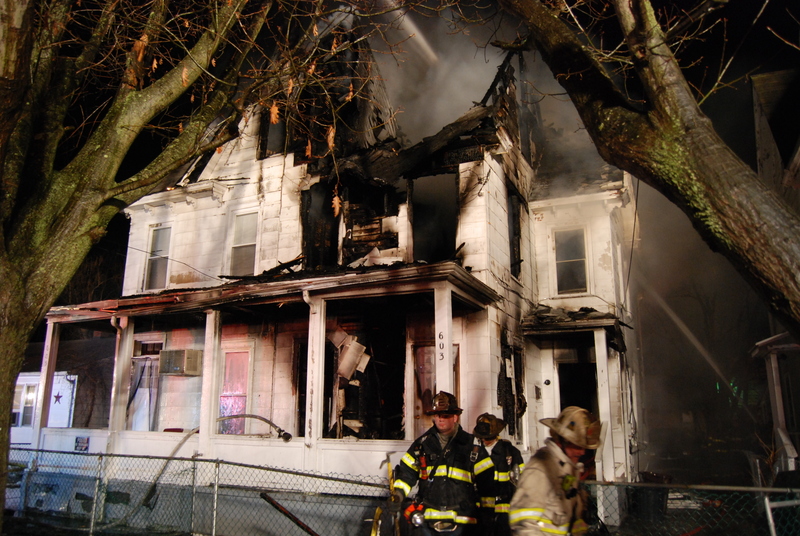 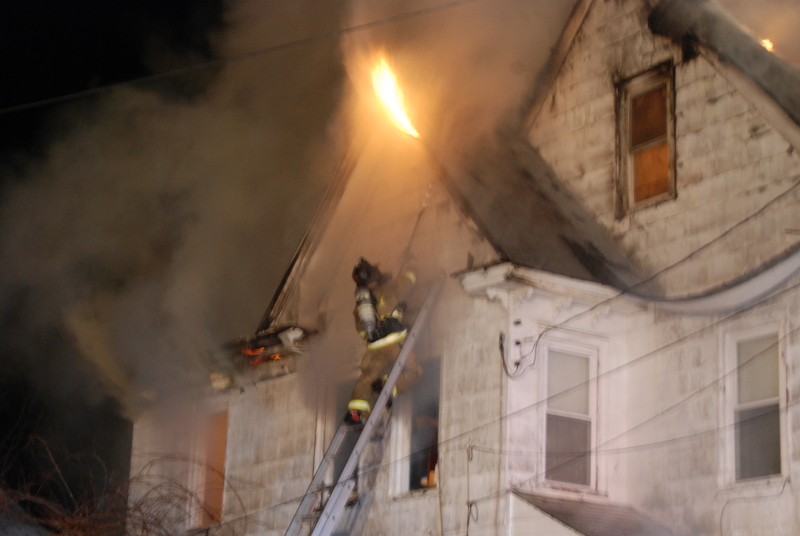 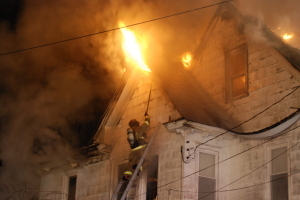 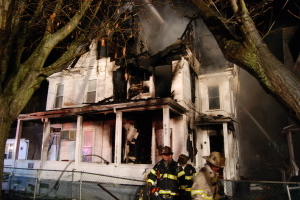 Upon Engine 34’s arrival, Captain Lippincott reported heavy fire on the second floor of 603 E. Mulberry Street. The crew hit the hydrant at 6th and Mulberry and went into service with an 1 3/4″ line. 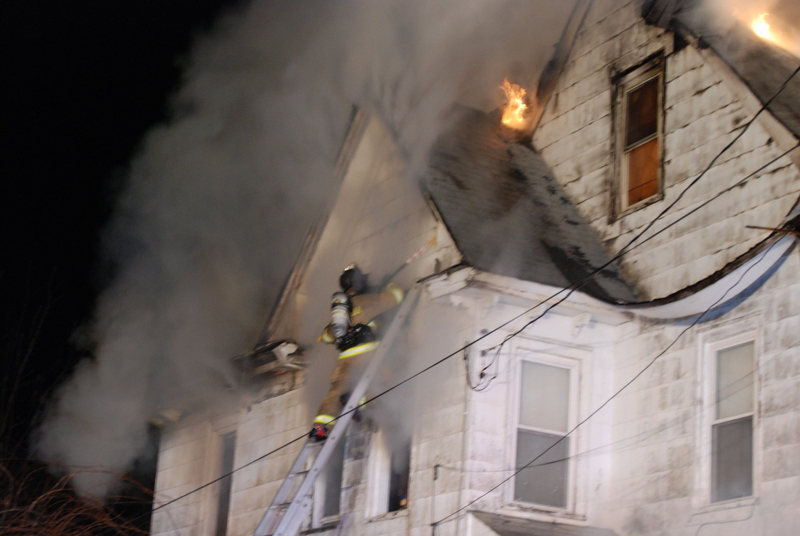 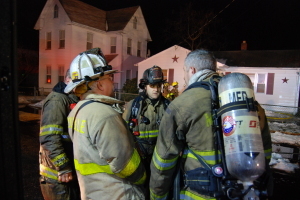 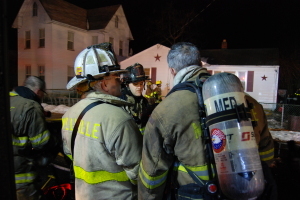 The crew noted that there was no fire or smoke on the first floor and continued to the second floor. The fire on the second floor had extended from the front bedroom into the hall way on the second floor and into the third floor. 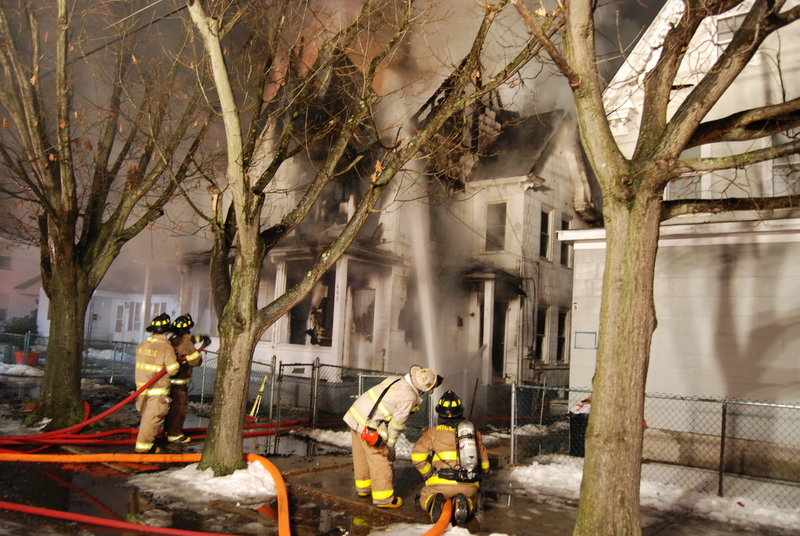 The crew knocked down the fire in the hall and front room and started up the stairs to the third floor. 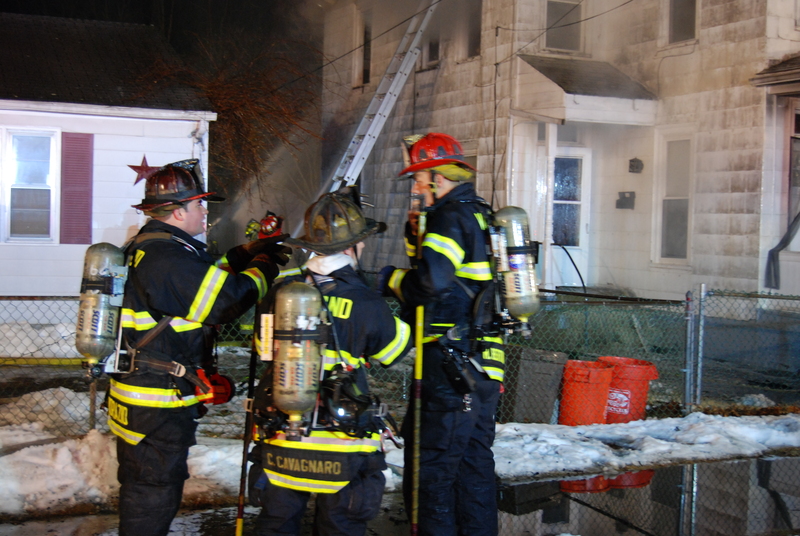 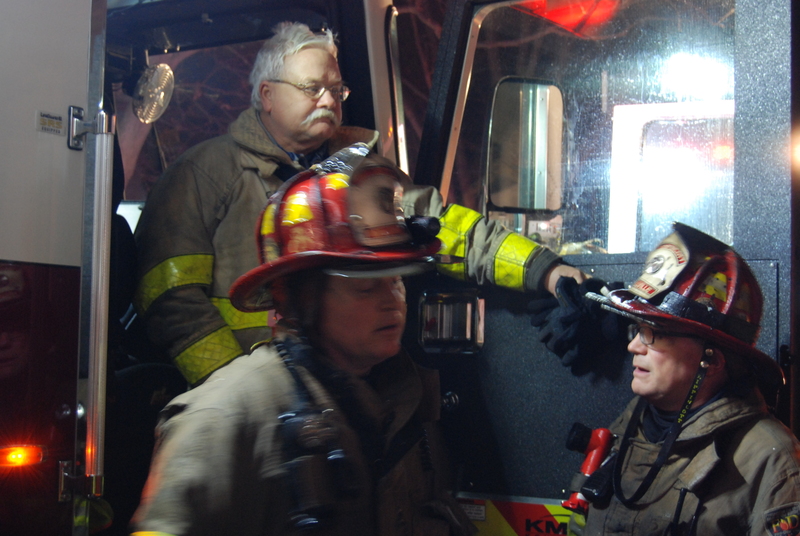 At that time, a second hand line was brought up to the second floor to protect the egress for the first crew. 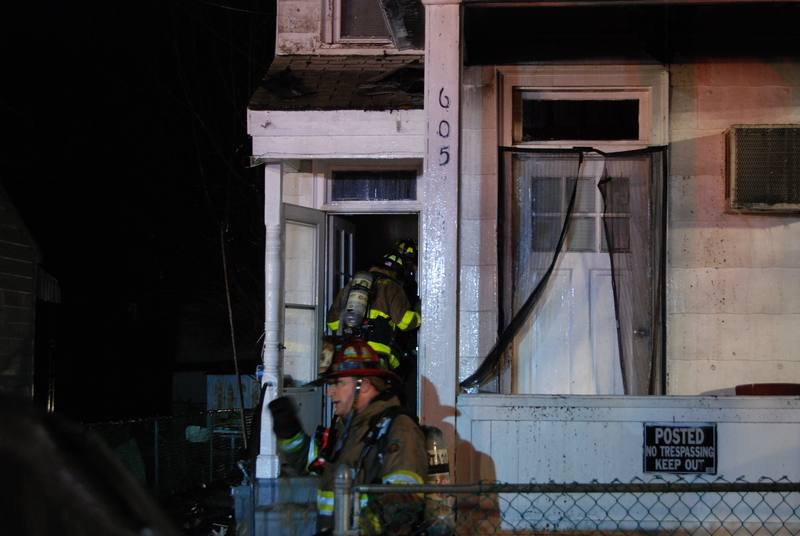 IC called over the radio to the interior crews that there was a fire on the first floor. 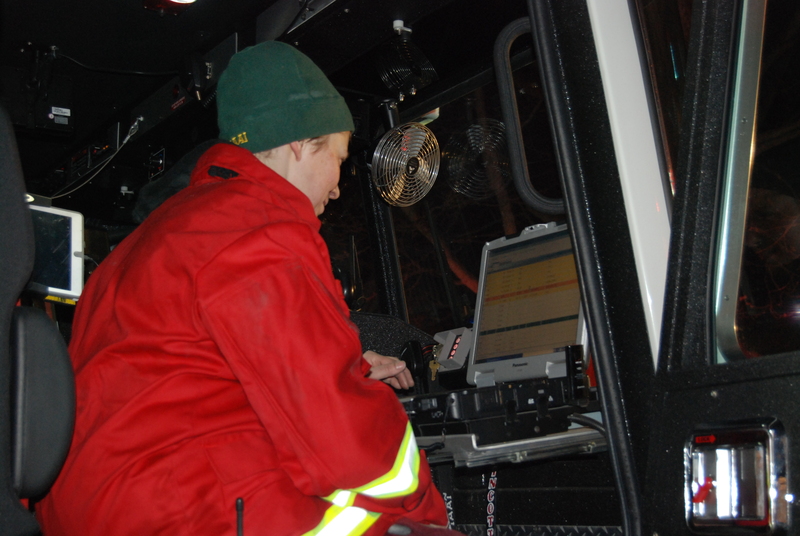 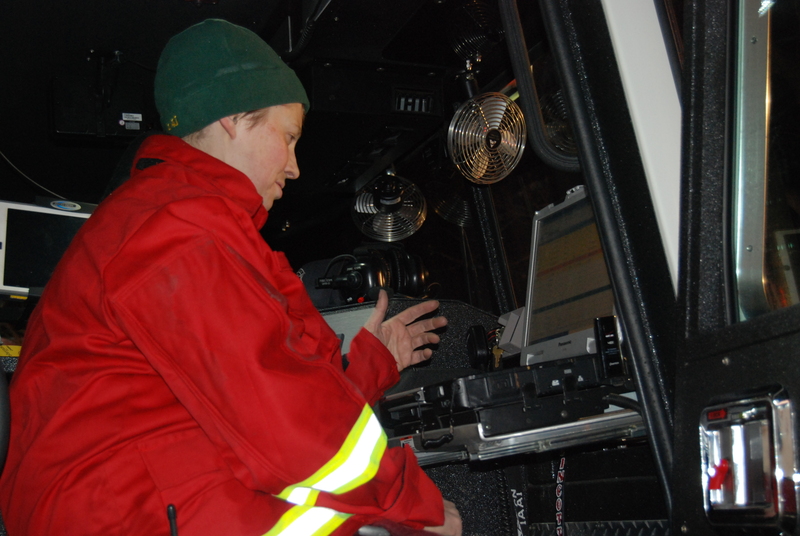 The second interior crew backed their line to the first floor stairs and were met with fire. 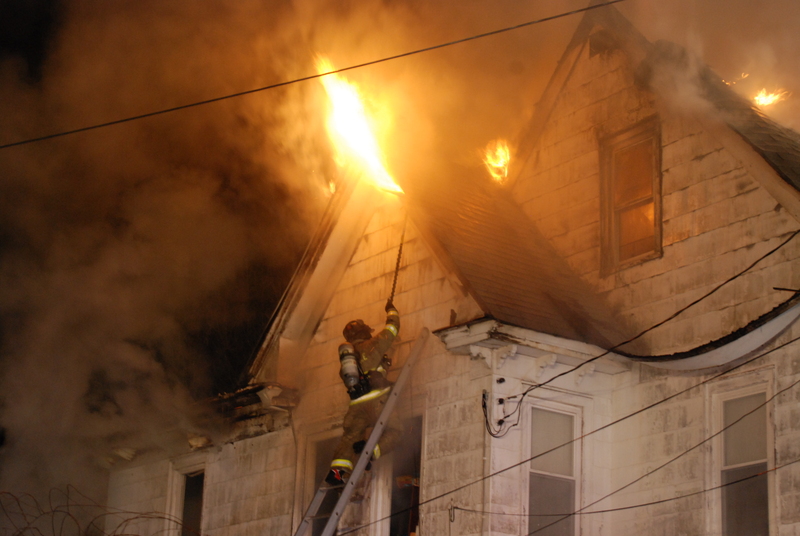 They attempted to extinguish, but were unable to and instead, held the fire back until the third floor crew was able to get out. 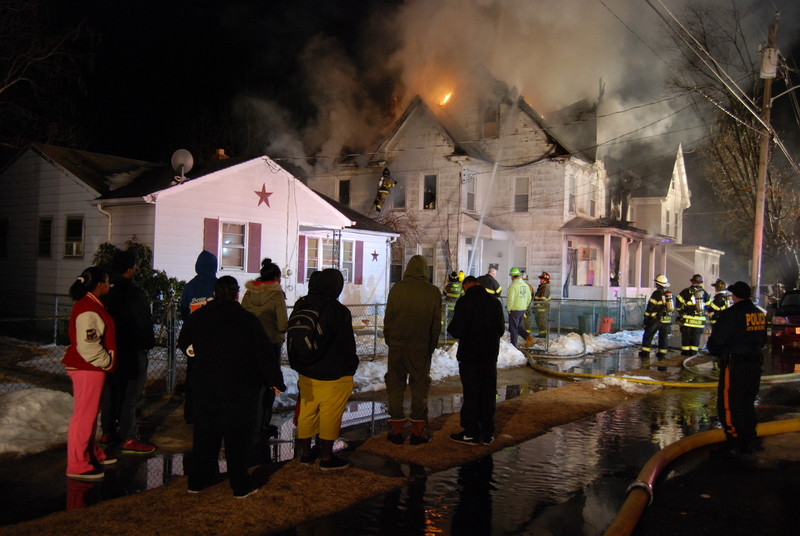 Thanks to the quick thinking and bravery of BC Larry Fawcett, FF Terrence Fawcett, and FF Ryan Gandy, Captain Michael Lippincott and FF Christine Tonetta were able to escape the third floor and all five firefighters were able to find temporary refuge on the front porch roof. 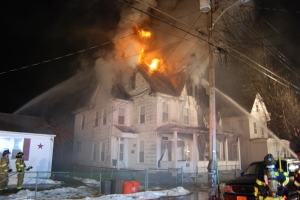 FF Scott Haley threw an extension ladder to the porch while FF Donald Campbell, despite explosions from the first floor, held the fire back, so that those on the porch roof could get down. 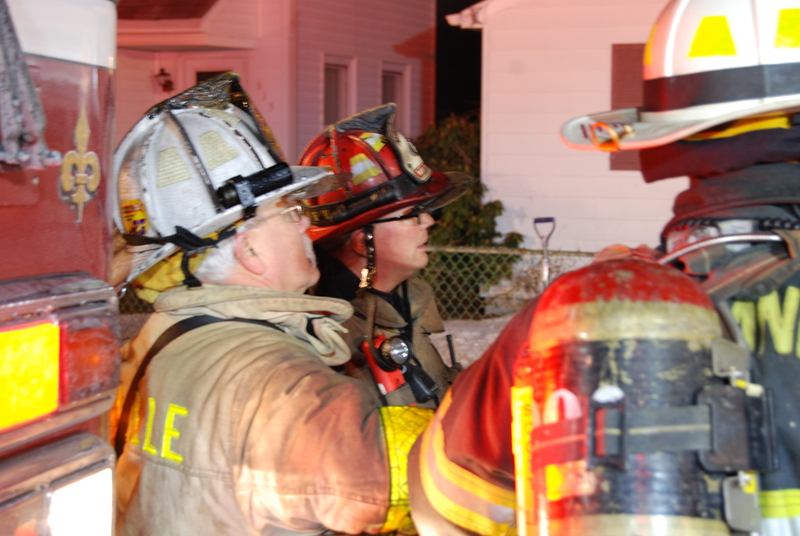 The fire attack went to a defensive mode and was brought under control at about 0520. Overhaul and clean-up was done and the scene cleared around 0900. Investigators left the scene at around 1200 and returned on Wednesday to complete the investigation. 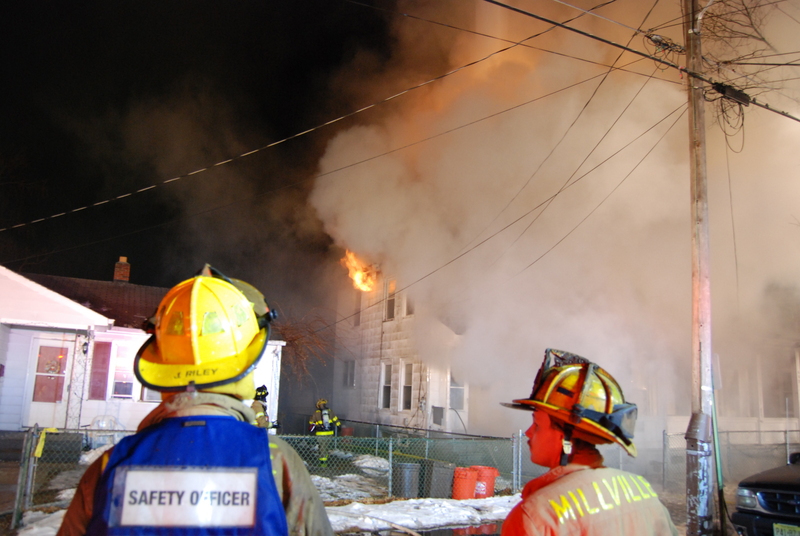 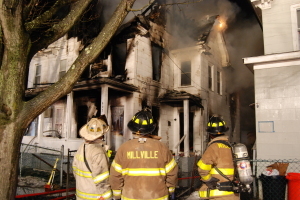 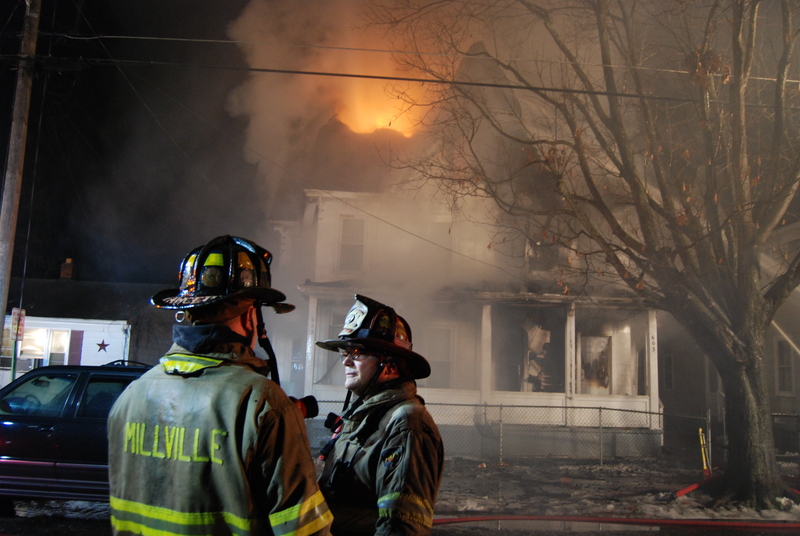 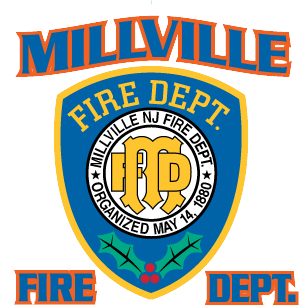 Thank you to all those who helped us and the families out that night – Station 29, Station 2, Station 13, Station 87, Millville Police, Millville OEM, Squad 98, Salvation Army, American Red Cross, and Peter Wine.